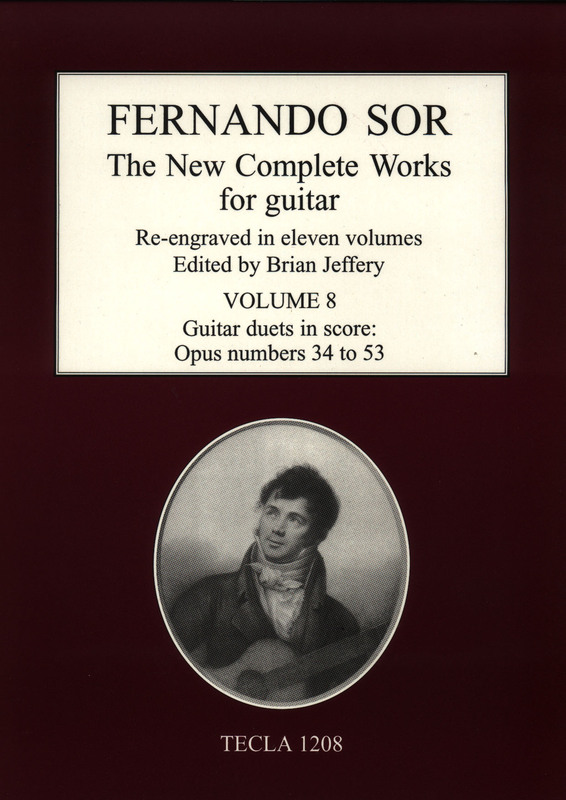 We publish all Sor’s guitar duets in volumes 8 to 11 of the New Complete Works for Guitar. Volumes 8 and 9 between them contain all the duets in score. Volume 10 has the Guitar 1 parts for all the duets, and Volume 11 has the Guitar 2 parts for all the duets. So you can choose whether to play from score (Volumes 8 and 9) or from the two parts (Volumes 10 and 11). You can hear some of these splendid duets for two guitars in the following videos. Here is Sor’s Souvenir de Russie op. 63 for two guitars, his last work, played by Claudio Maccari and Paolo Pugliese. Recorded at the festival at Lanckorona 2015. We can also supply a new two-CD set of all Sor’s and Coste’s guitar duets, played by Claudio Maccari and Paolo Pugliese playing on guitars of the period, with the technique of the period and interpretation on historical lines. We don’t offer many CDs, only exceptionally, and these are exceptional. The performers recorded the Sor duets from the Tecla facsimile edition. These CDs are not yet on this our new website, so if you are interested please write to us about it on the contact form.